Euthanasia is a very personal experience for everyone. 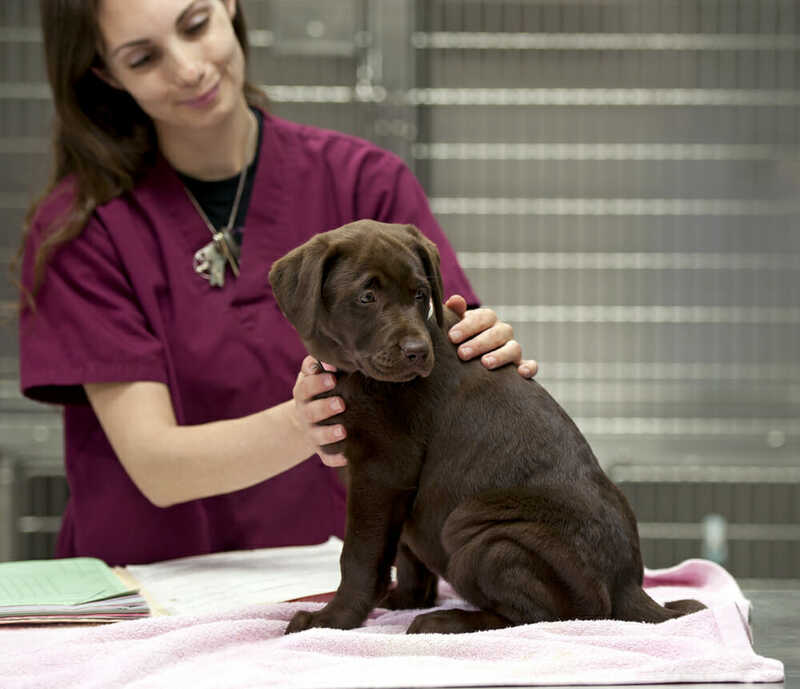 Most times, a veterinary technician is present to assist the doctor. The medication used for euthanasia is injected into a vein. The most difficult part of the procedure is finding a viable vein. This is even more difficult in very sick/very old patients or patients that are struggling. The placement of a catheter may be placed if we feel is needed to make this as pleasant of an experience as possible. The technician will give your pet a gentle hug, while at the same time, holding the limb (often the front leg) to help expose the vein for access. Owners, if they wish to stay present, are encouraged to hold, pet or talk to their pet as well. we want this procedure to go smoothly and quickly to help minimize the anxiety and fear in both you and your pet. Once the needle is in place, the doctor will begin injecting the solution. Your pet does not feel pain during the euthanasia. Usually within six to twelve seconds after the solution is injected, the pet will take a slightly deeper breath, then finally lapse into what looks like a deep sleep. The pet, although completely unconscious, may continue to take a few more breaths (sometimes even gasps) before all movement ceases. Your pet may or may not urinate/defecate, as the body completely relaxes. The eyes will remain open. The doctor or technician will then use a stethoscope to confirm that the heart has stopped beating. It is very difficult to determine when is the right time, a conversation can definitely be had between you and your veterinarian. A saying that we use often here at Mountain Road is: “you know your pet best.” You want to ensure that your beloved pet still has a quality of life and can still enjoy doing what they always DID enjoy. You as an owner may never feel like, “this is the right time,” but our team here will do our best to guide you through this difficult decision and time. Euthanasia is a gift, something that, when used appropriately and timely, prevents further physical suffering for the pet and emotional suffering of the family. Making the actual decision is the hardest part of the experience. Yes, at Mountain Road Animal Hospital, we offer house calls. Please contact the clinic for more information. Yes, you are welcomed to stay with your cat during euthanasia. Cost vary from cat to cat. Please call us at 506-382-0061 for any pricing info.